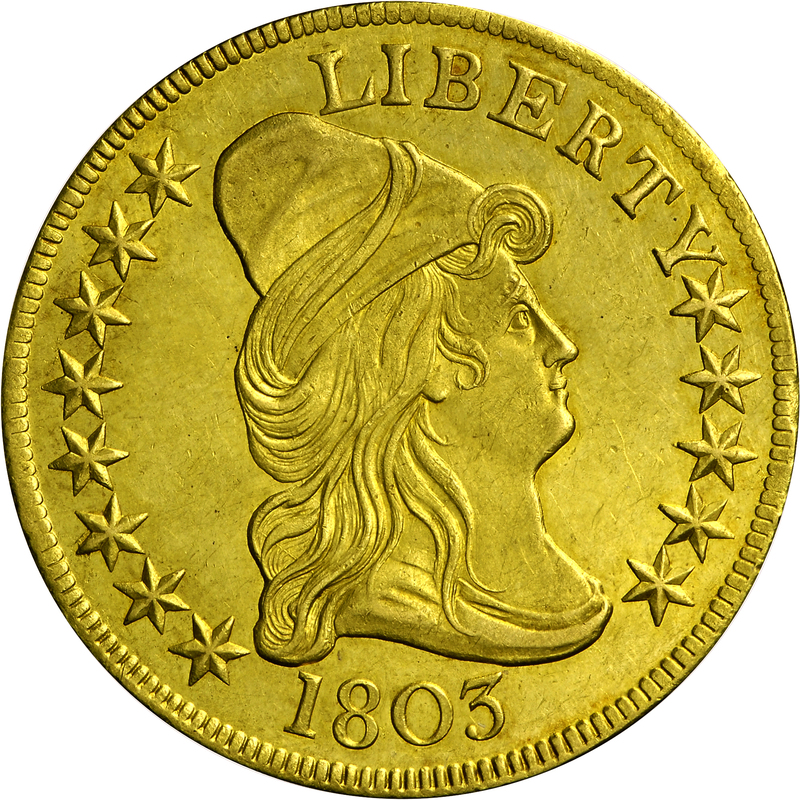 Just one 1803-dated obverse die was placed in service and was used in combination with six different reverse dies. 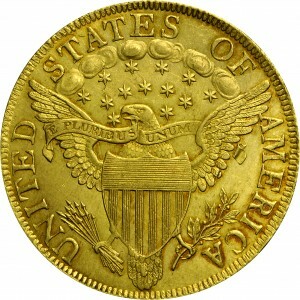 This basic reverse design type has a constellation of small stars between the eagle and clouds. This die marriage is quite rare with approximately 20 examples extant. 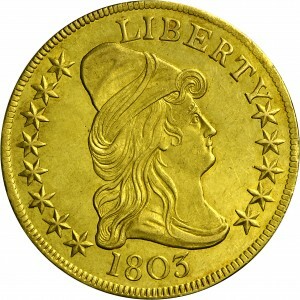 This example from the Bass Collection is an attractive coin that ranks among the finest known. Walter Breen noted that this obverse die has date digits from the same punches used for half dollars, with the final digit of the Small 3 style. "Obverse: Stars Type III, as 1801 2. Not Clashed. Reverse: Small stars. Small berries. Cloud space to right of center of E. O's right curve over cloud space. Left serif of A touches feather left, base clear of feather tip. Elongated die lump between TA."